The combination of expensive raw materials and the high level of cost pressure in the building industry has been the catalyst of many new developments in the area of materials. Digitisation has given innovation an extra impulse. As a result, building design and realisation have become more efficient than ever. In addition, materials are given new purposes as well. ABT is also investing in the development of materials, such as wood, glass, and concrete, taking an integrated and interdisciplinary approach. This way, we are able to combine and apply innovations, irrespective of the particular discipline or material type. Based on our knowledge and expertise, we are able to design slender and cost-efficient concrete constructions. We use 3D design software to realise this. Soon, we expect to be able to link these programmes to 3D printers, as they are currently being developed for concrete. We will then be able to print any shape of concrete element with a single touch of a button. ABT has been involved in the promotional study of vacuumatics. This system involves the casing for the pouring of concrete from foil bags filled with small elements, which are subsequently vacuumised. At the Stevin Laboratory of Delft University of Technology, ABT studied the building physics and constructional aspects of the glass-concrete façade. 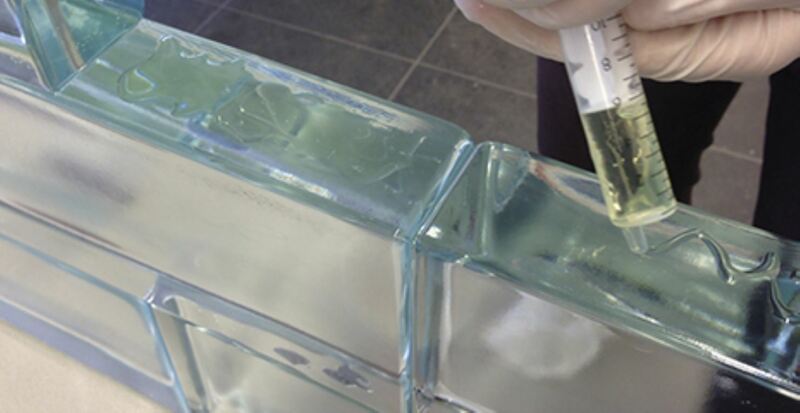 This technology is being further developed by ABT in order to realise supporting frames in glass.